Investigations and audits have exposed issues in city surveillance systems, but public safety employees continue to tout the systems’ importance to ensuring public safety. Investigations and audits have exposed issues in city surveillance systems, but public safety employees continue to tout these systems’ importance in ensuring public safety. A recent Chicago Inspector General’s report revealed that the Chicago Police Department’s 2,700-camera public safety security network does not have individual logins, creating the issue that no one knows which authorized people are logged into the system at a given time, according to the Chicago Sun-Times. Joe Ferguson, the Chicago Inspector General, called the cameras a “vital component” of the city’s “security portfolio,” as they allow the monitoring of “incidents, including criminal activity, car accidents and terrorist threats” in his report, the Sun-Times reports. But Ferguson still recommends the system's credentialing be fixed. “Any deficiency in the network’s operation creates a potentially serious safety risk, both to the public and to the first responders who rely on the cameras to provide information that often plays a vital role in assessing the scene of an incident prior to arrival,” Ferguson wrote in a letter that accompanied his audit, per the Sun-Times. Chicago Mayor Rahm Emanuel committed to making changes in the system, according to the Sun-Times. “They brought up good points….We have made changes and we’re going to make more changes. It highlighted some of the weak spots,” he told the newspaper. Pittsburgh has steadily made changes to its surveillance system after maintenance requests for the cameras had been “unnecessarily delayed” due partly to a former Department of Innovation and Performance employee who faced investigation for related reasons, according to the Pittsburgh Post-Gazette. Some of the cameras’ issues included broken motors and bad resolution. 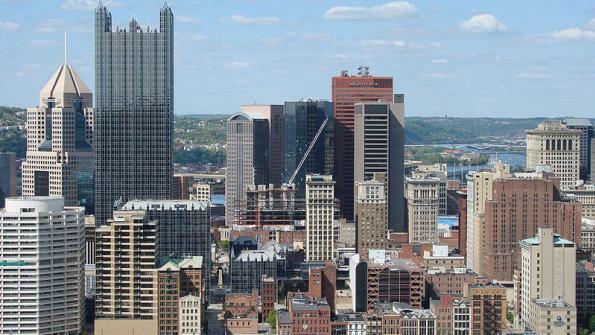 The Pittsburgh Office of Municipal Investigations initially discovered the maintenance issue, the Post-Gazette reports. While only 60 percent of the city’s 160 city surveillance cameras had been functioning optimally earlier this year, that number is up to 90 percent now. Baltimore had a different reaction when a Bloomberg investigation revealed that a private company had been secretly flying a drone for the police department that could film any moving object within a 30-mile radius, according to City Paper. The drone had been active for over 300 hours by the time the investigation came out in August. Several local organizations have denounced the measure. Common Cause of Maryland called it a “deeply troubling practice by Baltimore Police,” while the American Civil Liberties Union (ACLU) of Maryland called the secrecy “beyond astonishing,” per City Paper. The Open Society Institute-Baltimore has advocated for a “complete disclosure of the program so that it can be reviewed by the community and experts in civil liberties." "This is the privacy nightmare come to life," ACLU Maryland Senior Staff Attorney David Rocah, told City Paper. "It's what we were specifically warning about when we learned about the FBI flights." One Baltimore council member said he was working to schedule a public hearing soon to combat the transparency issue. But the Baltimore Police Department thinks the presence of the drone itself a good thing. “We aren't surveilling or tracking anyone," Baltimore Police Department Spokesman T.J. Smith told City Paper. "We are responding to calls for service."